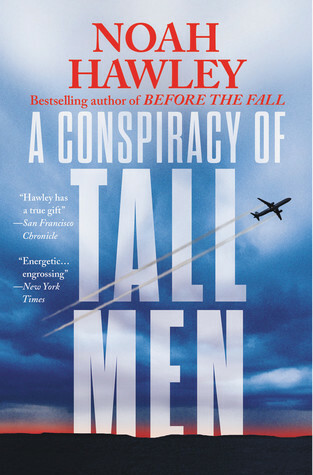 Goodreads: Linus Owen is a young professor of conspiracy theory at a small college just outside San Francisco. His marriage is foundering and his wife, Claudia, has gone to Chicago to visit her mother. But if Claudia is in Chicago, how is it that two FBI agents show up at Linus' office and inform him that Claudia has been killed in a plane crash on her way from New York to Brazil? And why did a man named Jeffrey Holden, the vice president of a major pharmaceutical company, buy her ticket and die beside her? Enlisting the aid of two fellow conspiracy theorists, Linus heads across the country in search of answers. But as their journey progresses, it becomes frighteningly clear they've left the realm of the academic and are tangled up in a dangerous, multilayered cover-up. Finally, deep in the heart of the American desert, stunned by an ominous revelation, Linus sees he has a new mission: to try to stay alive. Kritters Thoughts: Linus Owen is a professor who lives in a conspiracy. He questions everything in front of him and wonders always if there is more at work. He has two friends who encourage and live in this type of a world and all of his work is proven right when his wife is mysteriously on a flight from New York to Brazil when she is supposed to be visiting her mother in Chicago. For me this book was not my jam. I don't mind an unreliable character and a character who questions things, but I didn't think I could trust one thing that Linus and his friends were thinking or saying. I also felt as though there would be these random tangents about the histories of secondary characters that interrupted the narrative and kept the story from moving forward. I don't think it is Noah Hawley's writing and instead was the inner workings of his character, so I would read another book written by him. The plot of this story was right up my alley and the moments where I felt as though the author was deep in the plot I enjoyed. I didn't quit this book because I definitely wanted to know where it would all end, but I wouldn't want another story from this character's point of view. I am interested to go read more of his work and see if I like it better than this one.